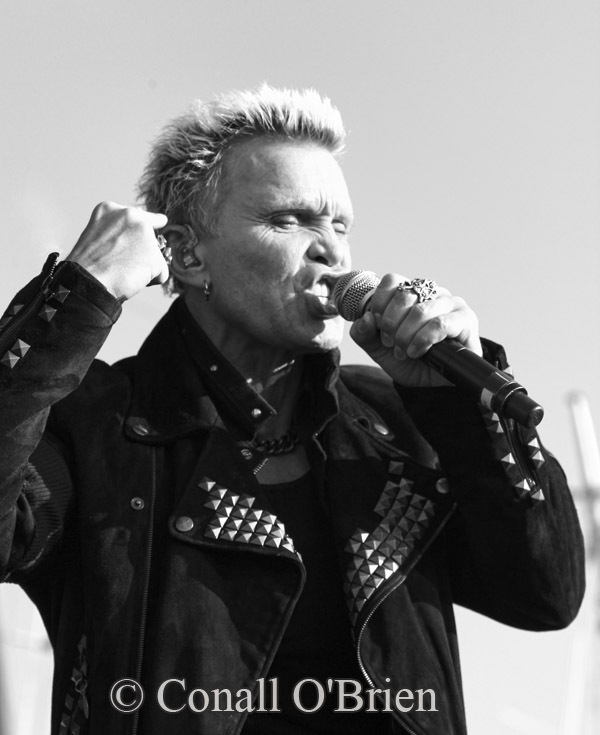 1970-80’s punk rocker/ hit maker Billy Idol returns to Portland, Maine in support of his October 2014 release, “Kings and Queens of the Underground”. 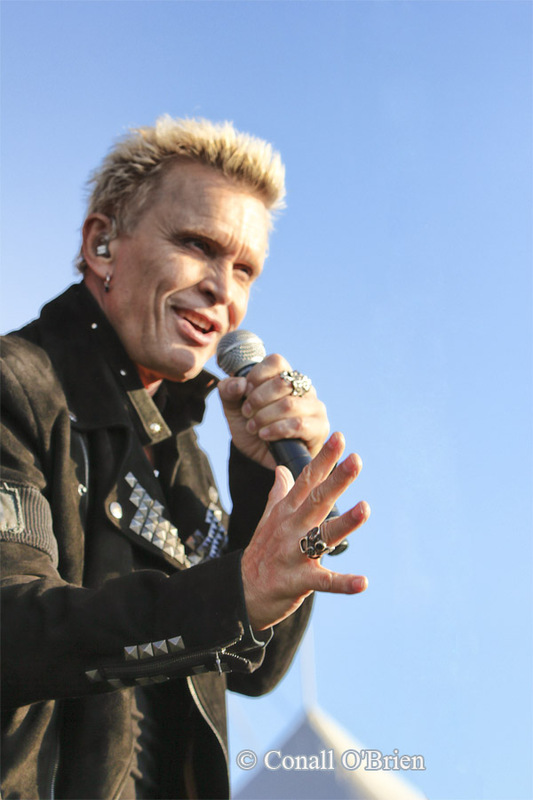 The Wild man of Rock n' Roll pulled out all the stops for his adoring fanbase who raged down on the waterfront on a relatively cool June evening – right on time at 7 PM and shortly before the close of day yellow-golden sun. 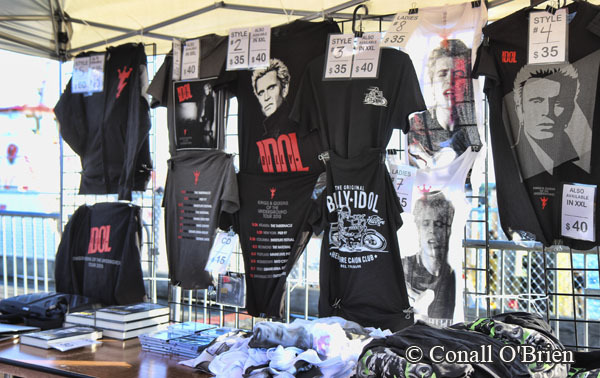 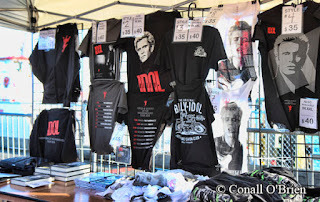 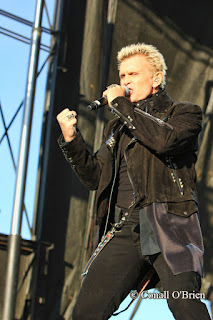 Billy Idol performing "Cradle of Love"
Popular selection of Graphic Shirts, Caps and Billy Idol's new autobiography "DANCING WITH MYSELF". known as "The Queen City". 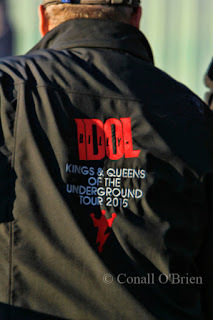 Queens of the Underground? 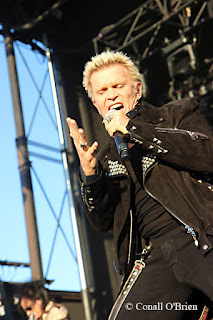 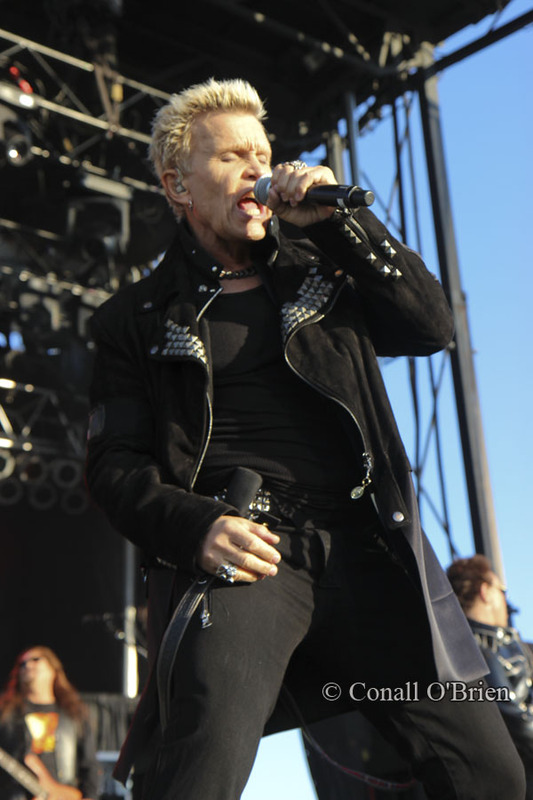 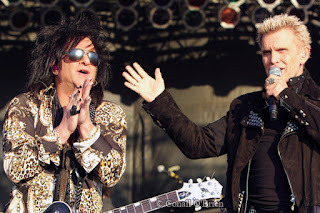 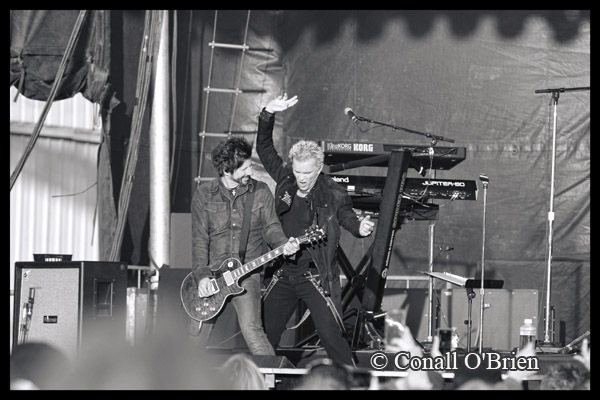 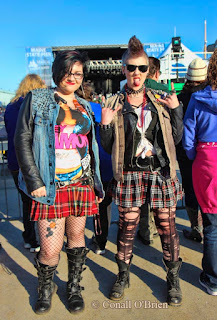 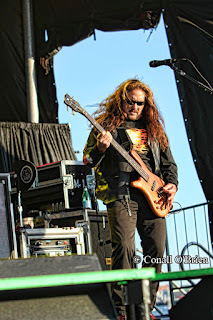 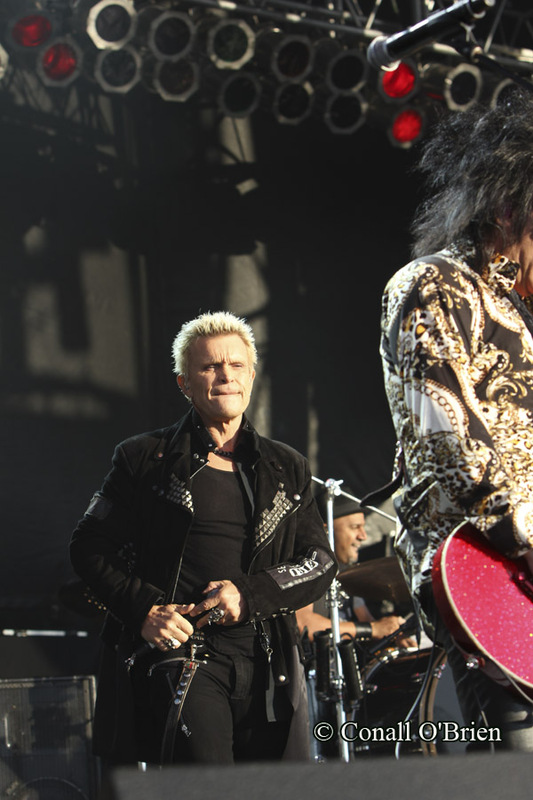 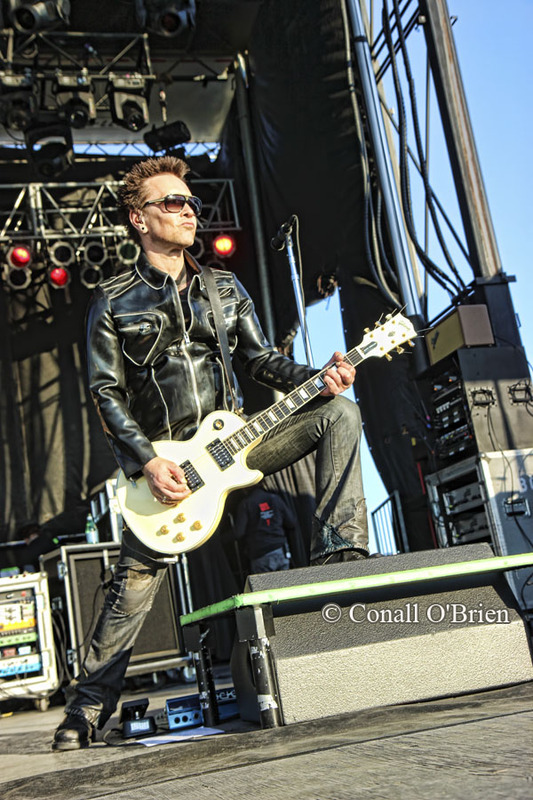 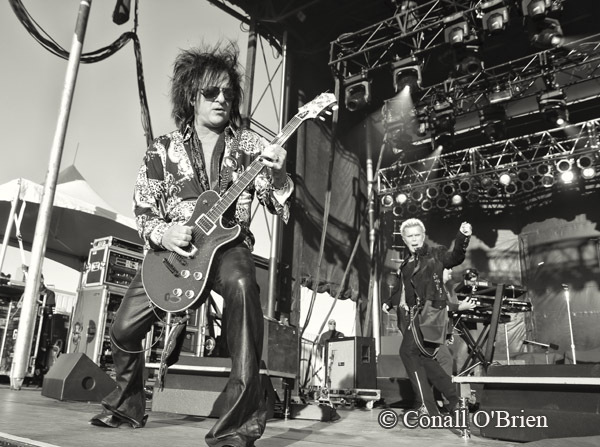 Portland Maine was one of two remaining stops of the Billy Idol “Kings and Queens of the Underground 2015 ” North American tour schedule, with the final show in Morristown, New Jersey... Given the hit song title "Rebel Yell" it seemed uncanny that these two remaining cities also relate to events leading up to the American Revolution. 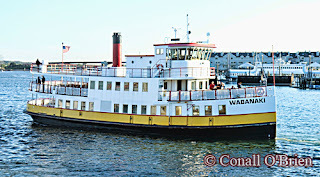 In October 1775 the British burned what is now Portland, Maine to quash the patriot rebels. In Morristown N.J., General George Washington’s troops wintered in 1776 after the decisive victories in Princeton and Trenton, N.J. Was Rebel Yell, a great and favorite song of many now, coincidentally connected to these two events of the American Revolution? 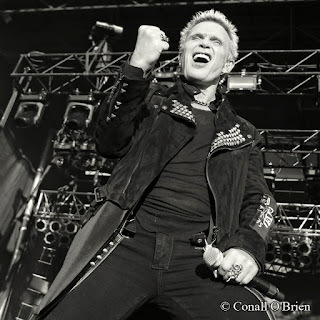 Rebel Yell? 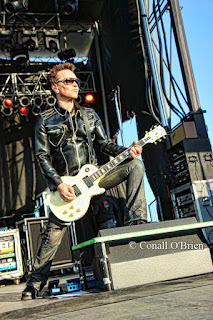 No.. that’s a song inspired by the brand of southern whiskey, or is it? Billy Idol approaching 60 years has aged very well and was full of energy and enthusiasm. 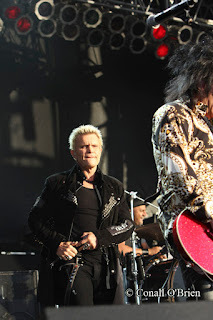 Cradle of Love, White Wedding, The Doors Cover song L.A. Woman, and a couple of tunes from Billy’s first band Generation X – Dancin with myself and Ready Steady Go were all crowd pleasers. Detail image of Kings & Queens of the Underground Tour 2015 jacket. 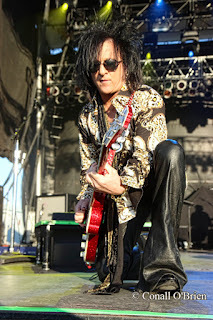 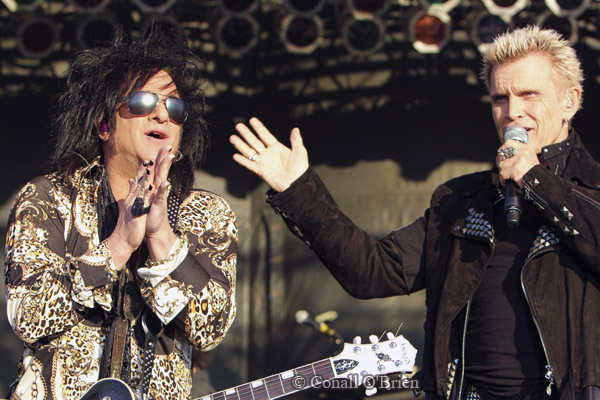 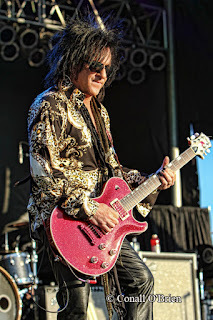 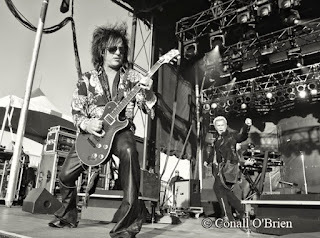 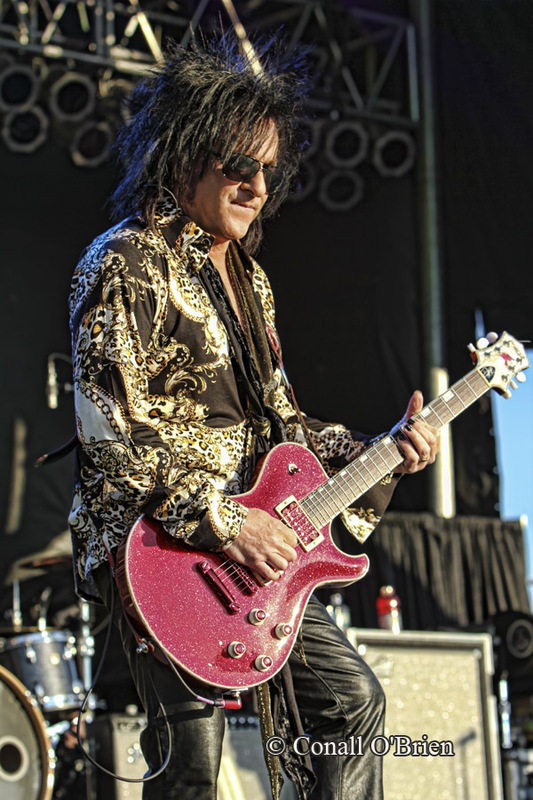 Steve Stevens - Gotta love a band who is good with fans and media. 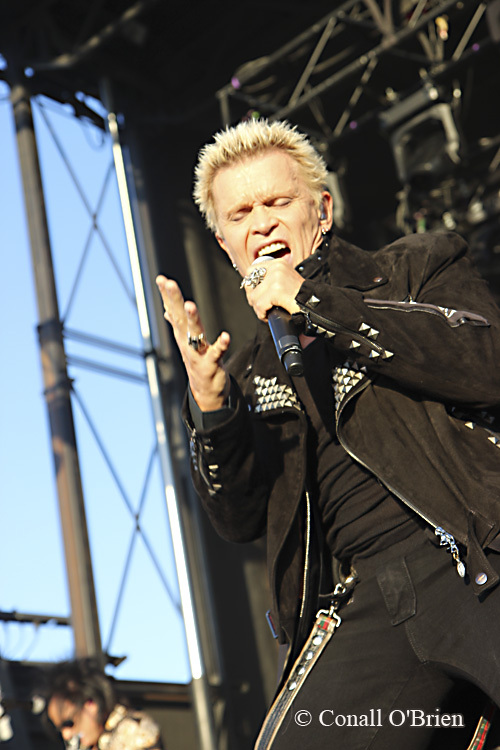 Rebel Yell, "More, more, more"
Billy Idol - Going strong at 59. 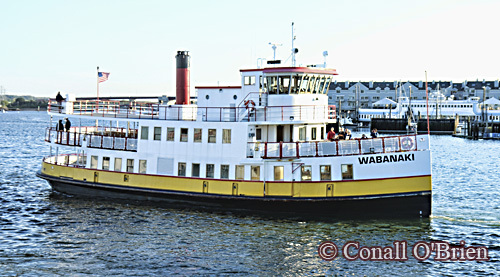 Maine State Pier is adjacent to Casco Bay Lines Ferry Terminal. 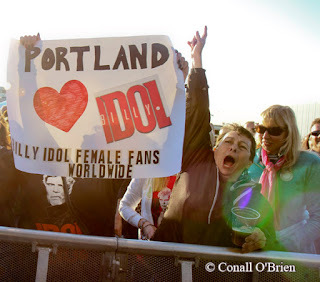 Portland Maine is set to have more outdoor concerts in 2015 than any other previous year, 25 dates and counting - scheduled on the waterfront at The Maine State Pier, corner of Franklin and Commercial Street in the old port.